You can't talk about the future of running without talking about Polar. The Finnish sports company has a pretty vast global reach these days and builds some of the most popular running watches and fitness trackers on the market today. It even leverages its heart rate tech for its research program into exercise sciences. It's been 36 years since the company launched the Spot Tester PE2000, the world's first wireless wearable heart rate monitor, and in that time its line of sports watches have become more capable both on and off the running trail. Today, Polar's name is as synonymous with fitness watches as Garmin's or Suunto's, but the new era of the smartwatch is shifting the dynamic as companies like Fitbit, Apple and Samsung are building watches that take on more of these responsibilities. 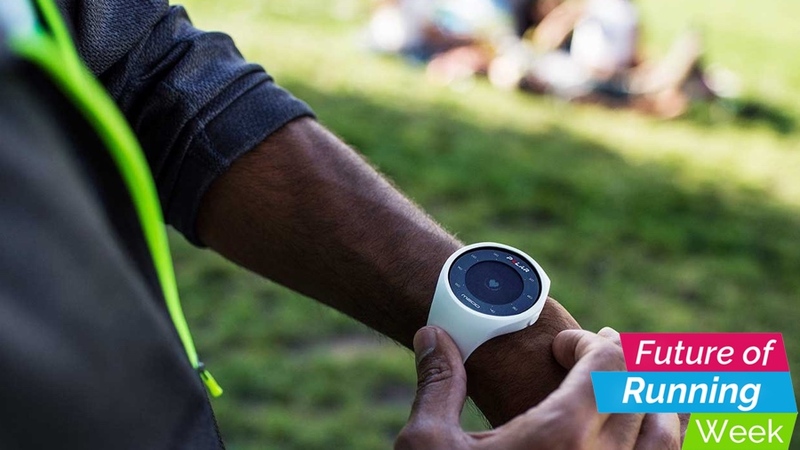 "I think there's been this approach of 'Let's build a smartwatch and try and throw something in there for runners'," says Marco Suvilaakso, Polar's chief strategy officer. "That's definitely one track that's in the marketplace today. And then there are these dedicated devices, but they're less well known among the masses." The latest numbers on the Apple Watch leave no doubt that Cupertino has a runaway success on its hands which, Suvilaakso believes, is both good and bad for the more serious running watch category. "I think on one level it's good in that it's helping more people recognise the value of embracing technology during the workout. There are some people that are starting to take advantage of that functionality that may not have touched any of it at all in the past." But companies like Polar and Garmin know athletes better than anyone else and Suvilaakso says that it's with the serious runners that they start with when it comes to building a new watch. "We look at what athletes are doing in general and try to figure out how to build something into the product to reduce the complexity of what they do." Breaking down those complexities, believes Suvilaakso, also has the benefit that it opens them up to "recreational" users. Something like orthostatic testing, for example, which elite athletes and coaches have been doing for many years. "For us when we think of the high end of the range, like for example the V800 type of device, the focus there is that it really has to work for the elite runners – the triathletes. Once we've secured that dimension, we work on how to make it as easy to operate, to make the user interface as clear as possible. Through that you get this additional impact where recreational runners will gravitate towards that high-end device and still be able to get something very useful out of it." Polar also stepped out of its comfort zone and toyed with Android Wear for the Polar M600, and while Suvilaakso says this was "never intended" for the runners at the higher end of the spectrum, he also says Polar has plans for more smartwatches in the same vein in the near future. "We definitely see that space is going to be active going forward". But what will the runners of the future want to track? "When we talk about lactate levels and dehydration and those types of things, those are I think really exciting themes for runners," suggests Suvilaakso. But he also believes that even some of the more immediate ideas surfacing will take longer to gain broader stickiness as people work out how to use them. "You have the addition of running cadence and running power coming into the fray, but I think for the vast majority of runners the power measurement is still a little bit abstract; it's a great metric, but what do I really do with this?" Suvilaakso adds that Polar isn't seeing adoption of metrics like stride and cadence data beyond the elite athletes. "There's definitely this interest in these terms, but I still haven't really seen the masses applying them so heavily." For Polar, moving forward will be partly about closing that gap between the recreational runner and the elite athlete, such as in heart rate training, which Suvilaakso says isn't yet as widely adopted as it could be. "A lot of runners have been running and tracking their heart rate, but a lot are still learning how to apply their heart rate as the guiding parameter," he told us. "So if you think about the elite-level runners, that's been one of their primary parameters to achieve amazing performance and avoid injuries. But for the masses, when they run they're checking out what their heart rate is, but they're not saying, 'Today I need to keep my heart rate in this specific zone because I need to focus on improving, for example, my aerobic endurance.'" Suvilaakso believes there's more potential here. He also thinks Polar hasn't done a fantastic job of communicating how features like this and the Running Index – an efficiency score based on heart rate and speed (essentially your VO2 Max) – are useful for all runners. "That's something as a company we need to be better at communicating. We are coming from an engineering and product orientated perspective; we need to better articulate what the products do for our customers." Then there are other types of device beyond watches and fitness trackers altogether. Companies like Solos and Everysight are designing smartglasses for athletes, and it's something Suvilaakso has his eye on too. "I think that the eyewear dimension is quite interesting when you start to have a layover with AR. It'll be interesting to see how that evolves, if the technology can become discreet enough and light enough for runners."